FREE SHIPPING Always IN STOCK. Please Note UPS will not deliver to PO Boxes. Enter Your Physical Address Below. Please Type your physical address here. Before you click the Continue button. 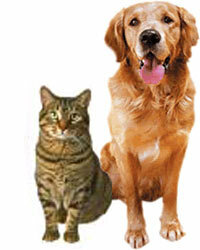 to clean organic spills and odor problems caused by your family pet? 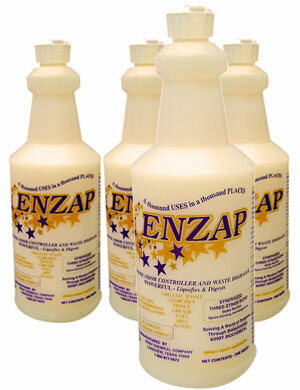 Enzap is truly an all purpose cleaner with a fresh clean fragrance. Use Kirby's Enzap All Purpose Odor Controller and Waste Degrader when you need to clean and refreshen places where pet odors and accidents have occurred. The active bacterial cultures in Kirby's Enzap are blended with powerful odor controllers that leave a fresh clean scent. It is designed to work on a wide variety of organic odor causing substances. SAFE - NON TOXIC - Certified Salmonella-Free. Fresh Clean Fragrance. You will not find a more effective product to care for your pets surroundings than Kirby's Enzap. If you don't believe us...Read this real letter from pet lover John Sessems. I did on gas. " will replace the odors you treat. "If it can bring my house back to odor neutral it will certainly work for any odor problem you have." After years of of trying to enjoy my pet dogs and still having a clean, fresh home where I could invite guests...I happened to find your product. I have been using it now for several months and I am today placing an order for a case. If you tell me you only have 100 left I will buy them all !!! Only those that have fought this battle of odor can understand the frustrations of trying product after expensive product only to have the odor return in hours. I dreaded someone knocking on my door unexpectedly before I had time to light 10 candles and mop the floors. I was spending more money on plug in air fresheners than I did on gas. Well now I am happy to report that my home has been from the very first time I used your Enzap product Odor Neutral, other than the light fragrance that is in the product. Odor Neutral is a phrase that came to me when I walked into my home a full 3 days after using your product on just a wet mop around my baseboards, couch legs and other likely target spot area's and noticed I smelled nothing. Now if I want to light a candle I light one, if I want to invite guests over I do. If someone happens to just pops in.... I just open the door invite them in and enjoy their company. So as not to turn this into a small novel about your product I will end with this ....If you love your pets as much as most people do....and getting rid of them is not an option..... and you can't seem to train them to go outside every time...... and daily spankings with a newspaper just does not seem the way to go ... then just mop your floor with this product one time and then sit back and enjoy your pets and your friends company and you too may be inspired to write a note just like mine. If it can bring my house back to odor neutral it will certainly work for any odor problem you have. I could also write another whole letter on how good it feels to wake up each morning and not have a stuffy nose after using your product for again just one time to wipe down my mattress and kill what I assume now were dust mites. Just the other day I missed the garbage truck and a few hot days later my can was smelling terrible I poured a half cup of Enzap in it.came back in a few hours and it was fine. I also applied it on a couch with a wet cloth where my dogs sometime lay... you guessed it odor neutral. Trash compactor...odor neutral. Stinky tennis shoes..odor nuetral. I could go on and on but i need to go to your site and place my order. But in plain English ...Thank you ......I am so glad I found your product. This letter is not a gimmick or something a marketing professional dreamed up. This is a real letter from a real pet lover John Sessems who loves Enzap for the way it solves pet odor problems. We do hope you will be persuaded by John's letter to buy Enzap for your pet odor problem. Because it really works just as our Louisiana customer reports. Yes we know Enzap is new to the pet chemical industry. The market is crowded with products. Which makes your task of choosing an odor controller more difficult. But maybe the time John spent writing was an effort to help us all. Frankly... Enzap was NOT created especially just for pet odors. That is why it can do so much more than other higher priced speciality pet odor controllers. John Sessums found out by bravely trying this new but proven product . Enzap can indeed handle frequent pet spills or stains he must clean up without over powering the user with excessive fragrance. More people are finding the Enzap solution every day. Read more of our customer testimonials about Enzap. See for yourself how good it works. Knowing Enzaps History might give you even more confidence to buy. Enzap was blended by Kirby Chemical Company in the 90's for our commercial customers in hospital and nursing homes industry. This industry deals with serious organic stains and odor problems that have to be clean up many times an hour...24 hours a day, 365 days a year. 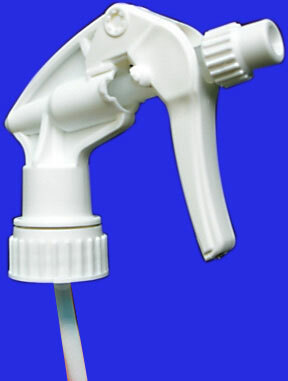 The shipping is FREE And you also get a quality spray applicator at no charge. We can ship fast from our in stock manufacturing plant/ warehouse. Boldly order your first Enzap today. General Enzap Precautions: KEEP OUT OF THE REACH OF CHILDREN. Enzap is Safe to use on all metals, and other surfaces that will not be harmed by water. Not Recommended for use on food Preparation surfaces. Optimum conditions for use. pH range of 6.0 -8.5 and a temperature range of 40 to 100 degrees F. Below these temperatures the bacterial digestive action is slowed above these temperatures the bacteria dies. Read and follow all label directions. Do not use in a manner not recommended by label instructions. Enzap is completely biodegradable. USDA Approved. Kirby has 30 years chemical manufacturing experience . We have 80 plus housekeeping chemicals to meet any commercial need at competitive pricing. Call: 1-800-877-5472 ext. 241 to talk to a representative. When you buy 4 Quarts Of Enzap. Yours to Keep. Satisfaction Guarantee: Kirby will refund your full purchase price provided you take the unused portion of the Enzap to your area Salvation Army Location and donate it. Get a donation receipt in the amount of the purchase price and send the receipt to Kirby Restaurant & Chemical Supply 809 South Eastman Road. Longview, Texas 75602. We will send you a check for the donation amount, minus our shipping costs,by return mail. Please Note: UPS will not ship to a PO Box. Make sure you provide us with your physical address at checkout.